Yoga has long been lauded as a powerful healing practice, and as its popularity has soared so have the claims to its magical powers. Have you ever wondered what are the benefits of yoga exactly, and how does it even work? Join Walking Mountains Science Center with yoga teacher Julia Clarke on Wednesday, April 17 th at 6:30 pm for a lively discussion on yoga. Julia will delve deep into the philosophical roots of yoga and its modern-day expression. Through an interactive demonstration she will explore some modern findings on the science of stretching and participants will learn how yoga can impact the Nervous System. Clarke will bust through some of the myths surrounding yoga, examine emerging scientific data of yoga, and experience the benefits of conscious breat hing and meditation for ourselves. 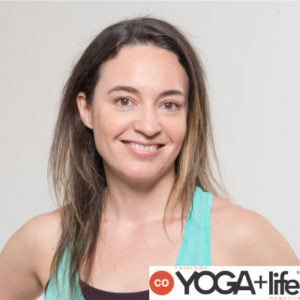 Julia has been teaching yoga in the Valley since 2009 and is the co-founder of Mountain Soul Yoga in Edwards. Cost: FREE! $5 donation suggested. Registration required. Click here to register. Learn more about this month’s guest presenter at www.juliaclarkeyoga.com.